Demo Day: Part Two. Shafts and some random stuff. 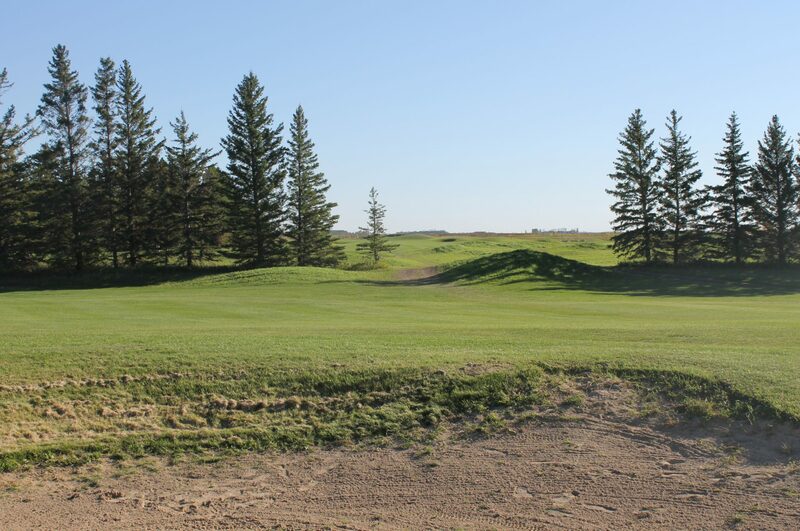 – Home of golf on the Prairies! I was able to hit the new 130 MSI Rogue as well as the Diamana DF. Both were, as expected, very good. As someone who has gamed previous iterations of both shafts I was intrigued to try them. Have to say, the new Diamana graphics might be the best I’ve seen in 2019. Not overdone, but still enough to let everyone know what you are playing. Performance wise both were great. I can’t really declare one better then the other for my swing, but I can say the feel of the Diamana DF was great. It was also a treat that they had them in TX flex. While we were testing the shafts, N.S. Pro brand ambassador Karrie Webb was doing interviews and some quick demos a couple of stalls behind us. Oh the joy of Demo Day. While I’ve hit most of the Modus line, I have never had the chance to hit the Regio line in the X Flex. Needless to say, the Formula M+ really impressed me. Made out of the new “it” material in graphite shaft construction, Toray T1100, the stability and feel was superb. KBS Shafts had on hand their new CT Tour Putter shafts. While I won’t go as far as to say they’re the C Taper of putter shafts, the look and physical feel was eerily similar. One of the test putters was a Taylormade Spider Mini Tour. The feel of the putter at impact was definitely better then the stock TM shaft. Coolest part? They come in a variety of colours. Demo day is like walking through a crowded street market, where everywhere someone is usually glad to show off their wares. Of course, as in a street market, certain exhibitors will do whatever it takes to stand out, from goofy clowns to giving away booze. I didn’t have enough time to capture all the craziness, but here are a few random snapshots from this year’s demo day. Ran into Lisa “Longball” Vlooswyk warming up for her GolfTown shoot. She didn’t have her Callaway Golf Epic Flash bag yet so they took off her Rogue bag name insert and put it on one of Callaway’s demo bags. I’m truly impressed on the selection of demo heads Fujikura uses for testing. Two years ago they had “T” serial Titleist heads and this year they had some fresh new “+” TaylorMade M5 heads. Pretty neat getting to smash not only the newest release (of a company that wasn’t even officially there) but a tour issue spec’d version as well.